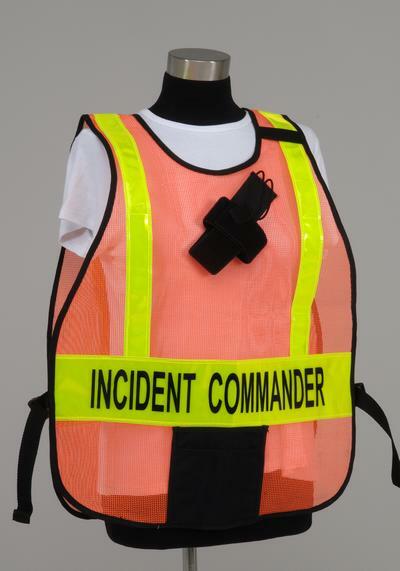 Titled Poncho style - Incident Command System Vest USA made. Useful for creating changeable titles for varying drills or guests. Constructed of extra strong vinyl coated nylon mesh (many colors to choose from), edges bound and stitched with binding tape. Vest Size: 26" Long by 20" Adjustable quick release buckles and straps create a one-size fits all vest that expands to over 70". Our sizing saves you money with one-size-fits-all vests for your staff. Our larger vest panels reduce the "lobster bib" look on some body types. Adjustable on each side with high quality side-release nylon buckles. 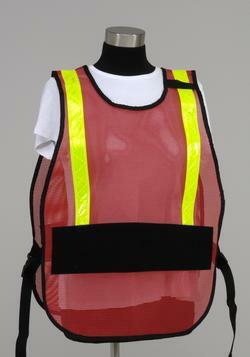 The vest has 2 reflective stripes that hold a 6" by 18" window pocket open at the ends, front and back. 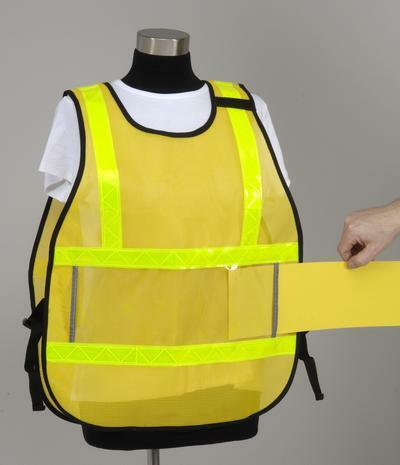 Yellow PVC reflective vinyl is our default material used on all colors of mesh. All vests come with a mic/ ID badge loop on the left shoulder (a $3-5 value) standard. Write the name of the position on the card stock and slide in. Wt. 8 oz. 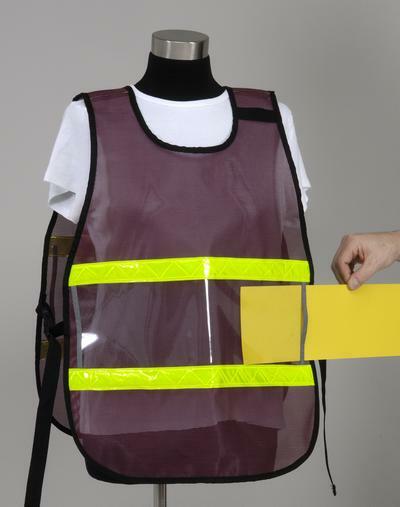 We offer many options to further customize the vests to meet your special needs. 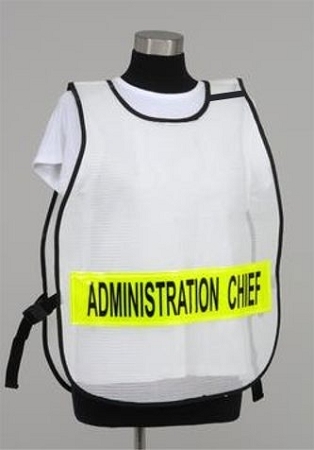 You can even add your agencies' patch to the vest for an even more professional look. On striping, narrow titles can be added at additional charge (Minimum quantities may apply.) Please call us with any special requests. Putting together a large quote or order? Give us a call to create an easy quote for your group - (888) 723-3897 . Please note that vests are a customized item. We require 2-3 weeks for production and additional shipping time to get to your location. Please call us if you have an upcoming drill or shorter timeline. You may be required to pay for air shipping charges to reach you in time. We make every effort to meet your drill dates, but we need to know this informationwhen you place the order to determine our production backlog.